The Boss LS-2 Line Selector gives you an easy and convenient way to switch the settings of multiple effects and amplifiers or route input an.. The Boss LS-2 Line Selector gives you an easy and convenient way to switch the settings of multiple effects and amplifiers or route input and output signals. If you use multiple pedalboards and amps then the Boss LS-2 Line Selector pedal is going to make your life a whole lot easier. 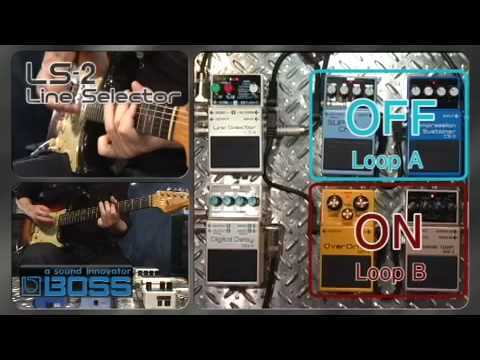 Providing two line loops and six looping modes, even the most complex setups can be managed with ease thanks to the Boss LS-2 Line Selector pedal.